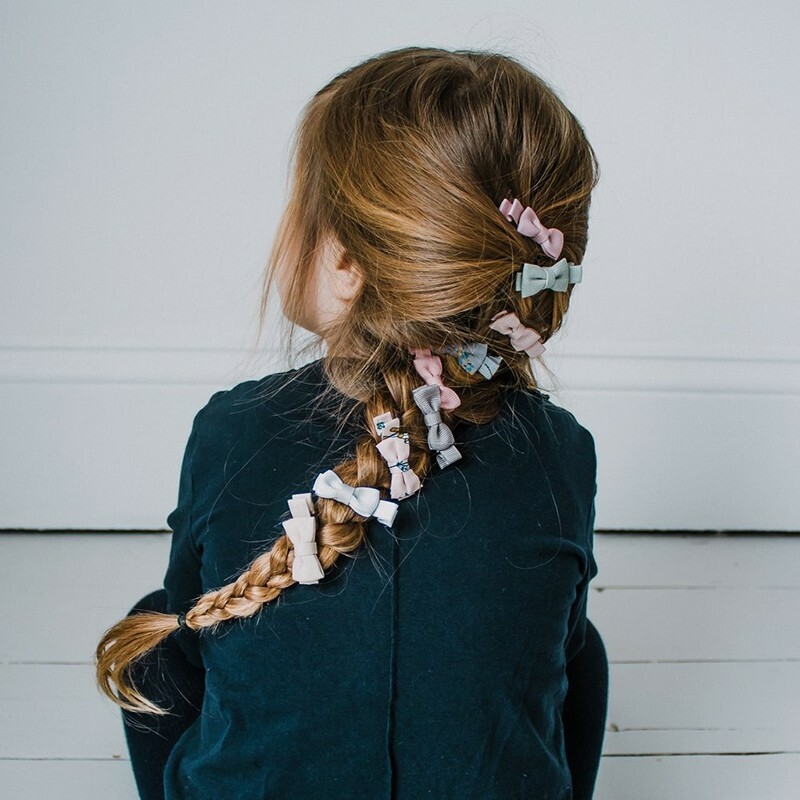 Our legendary Martha bow salon clips return in a lovely neutral dusky pink pack. 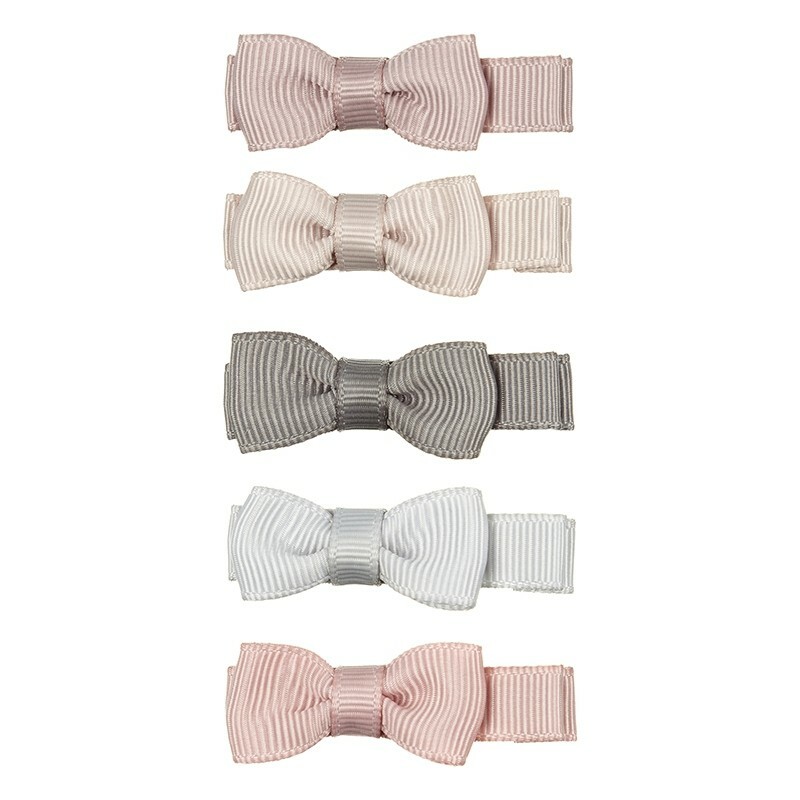 Made from lovely grosgrain ribbon and coming of both neutral colors you can be sure to find one! This pack features a beautiful collection of tonal dusky pinks and greys. Great worn both separately or together.